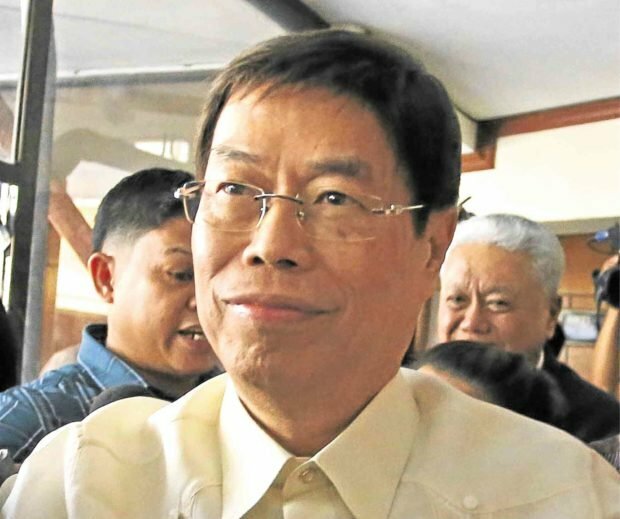 Philippine National Police tracker teams are now hunting controversial Cebu-based businessman Peter Lim amid an appeal by police in Cebu City for Lim, charged with involvement in the illegal drug trade, to surrender peacefully. The PNP and the National Bureau of Investigation had joined the hunt for Lim after a warrant for his arrest has been issued by a Makati Regional Trial Court. “We appeal to the public if ever you have any information that would lead to the whereabouts of Peter Lim, we would be happy to look into it,” he said. Durana made the remarks in a press briefing in Malacañang on Friday. “We have only tracker teams,” Durana said. “But if we pool our resources, the general public will help us, we can put Peter Lim before the bar of justice,” he said. NBI spokesperson Ferdinand Lavin, at the same press briefing, also confirmed that the agency was also hunting for Lim. All regional and district directors of the NBI had been ordered to help in the hunt for Lim. In 2017, Lim had gone to the NBI office in Manila after meeting with President Duterte to try to clear his name. Mr. Duterte had tagged Lim as one of the country’s biggest drug lords. Durana, the PNP spokesperson, said authorities had no information if Lim was still in the Philippines. In Cebu, Senior Supt. Angelito Dumangeng, deputy director for operations of the Central Visayas PNP, said surrendering was the best option for Lim. “We promise to ensure his safety,” Dumangeng said on Thursday. Police officers in Cebu on Thursday got a hold of an official copy of the arrest warrant issued against Lim by Judge Gina Bibat-Palamos, of the Regional Trial Court Branch 65 in Makati City. Dumangeng, however, also said police were clueless where Lim was now. “If he comes forward to surrender, that is better,” said Dumangeng. “We don’t want any violent incident to take place,” he said. The Makati court on Friday issued a hold departure order for Lim to prevent him from leaving the country. Former Rep. Antonio Cuenco, who served as chair of the House committee on dangerous drugs when a House inquiry was conducted on Lim and his brother Wellington in 2002, said the businessman’s indictment was a vindication of an earlier report pinning Lim and his brother on the drug trade. “There was probable cause against them,” Cuenco said. “All along, nobody cared and there must be a reason why the government back then did not act on it,” Cuenco said. “Lim’s indictment affirmed our committee reports,” Cuenco added. “The President, the National Bureau of Investigation and the DOJ are now doing their best,” he said. Senior Insp. Dindo Alaras, chief of the Mabolo Police Station, said a team was ready to serve the warrant of arrest on Lim, whose last given address was No. 12 Tres Borces Extension in Barangay Mabolo, Cebu City.